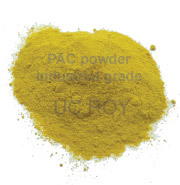 Poly aluminum chloride that is a new type of high-efficient inorganic macromolecular coagulant, which has an excellent coagulable flocculating power. 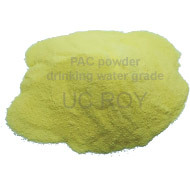 HYDROPAC (powder) has Al2O3 about 30%, which is most important substance for helping coagulation. This product is mainly used in purify of drinking water and treatment of industry wase water Furthermore, it also widely used in papermaking, tanning and some other fields.